The Irish Rugby Football Union has appointed former Australia international David Nucifora as its new Performance Director. The highly-regarded 52-year-old has signed a five-year deal and will begin his role on 1 June. The former front row was capped twice by the Wallabies and was previously the high performance manager with the Australian Rugby Union. He also gained coaching experience at the ACT Brumbies and Auckland Blues. He coached the ACT Brumbies to the 2004 Super Rugby title, and worked as technical adviser with the Blues before being appointed their head coach in 2006. Nucifora's brief will be wide-ranging, taking in both international and domestic ranks, with IRFU chief executive Philip Browne suggesting his key role would be ensuring that the Irish game remains in good health after their Six Nations success. "The IRFU is delighted to announce David Nucifora as performance director after a worldwide search for an individual that will help develop and enhance the professional structures within Irish rugby," Browne said in an IRFU statement. "David's extensive experience in this area will be a significant addition to Irish rugby's continued success in the professional game and ensuring that both playing and coaching talent is developed to ensure a prosperous long-term future for the provincial and national teams." 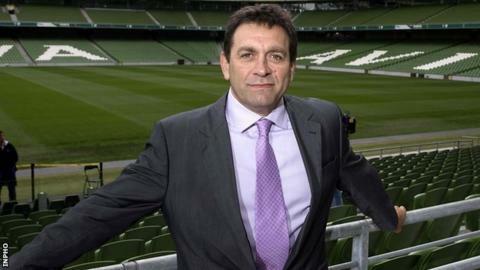 Nucifora is looking forward to working at every level of rugby in Ireland. "Irish rugby is in rude health, Ireland are Six Nations champions and the provinces are performing well in both the domestic and European competitions," he said. "That said there are a number of challenges facing the professional game in Ireland and I am excited by the prospect of playing a role in meeting those challenges. "I look forward to working with the national and provincial coaches as well as those in charge of the other representative sides."